Reactor 1 of Tsuruga Nuclear Power Plant in Tsuruga City, Fukui Prefecture, operated by Japan Atomic Power Company, is the very first light-water reactor (by GE) built in Japan, and the 7th oldest commercial reactor in the world (as of January 2012). Reactor 2 of Tsuruga Nuclear Power Plant (pressurized-water reactor by Mitsubishi Heavy Industries) may be sitting on top of an active fault. Both reactors have been stopped due to scheduled maintenance. Japan Atomic Power Company announced on August 17 that they found cracks and discoloration in 9 metal covers that cover fuel assemblies in Reactor 1 at Tsuruga Nuclear Power Plant (Tsuruga City, Fukui Prefecture) which has been stopped [for maintenance]. The [cracks and discoloration] are all minor, and there is no effect on the environment, according to the operator. 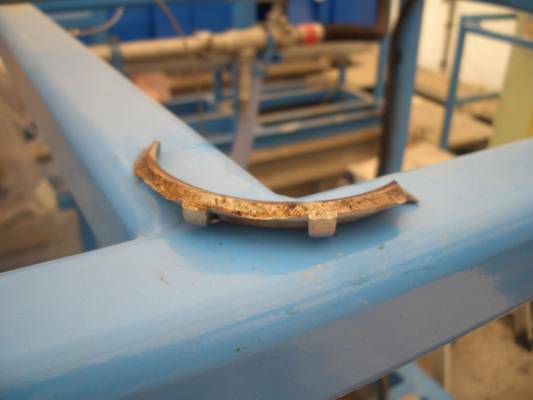 The metal covers are in the Spent Fuel Pool, and the cracks were found at the welded parts. As damages were found in the metal covers at Tohoku Electric Power Company's Onagawa Nuclear Power Plant, the Nuclear and Industrial Safety Agency under the Ministry of Economy, Trade and Industry instructed Japan Atomic Power Company and other [nuclear power plant operators] to conduct investigation. I think what Yomiuri is talking about ("metal covers") is a channel box that houses fuel assemblies. For Onagawa Nuke Plant's channel boxes, apparently damaged by the March 11, 2011 earthquake, read my post from July this year. Japan Atomic Power Company has a lot to learn from TEPCO (believe it or not) when it comes to timely disclosure of information. At their website, the latest press release is from August 10. NISA or METI is no better; there is no press release on this incident on either of them. Maybe this kind of news wasn't news at all in pre-Fukushima Japan. 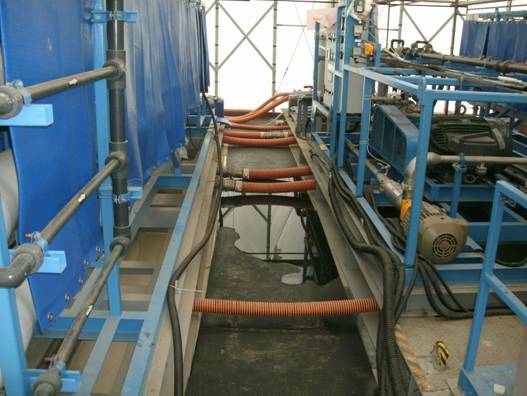 Photos of Minor Leak at Reverse Osmosis (Desalination) Facility in #Fukushima I Nuke Plant: Defective Pipe Joint? 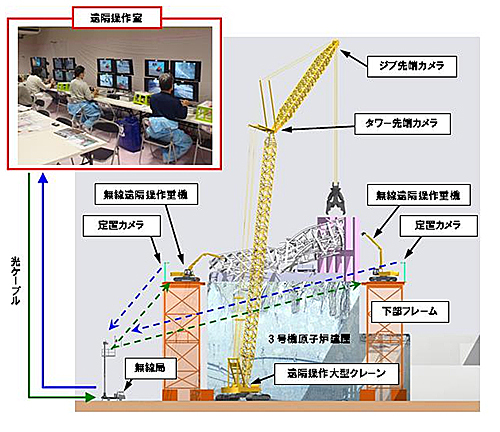 The Reverse Osmosis (RO) system at Fukushima I Nuclear Power Plant treats water already treated by Toshiba's SARRY (cesium absorption towers) in order to remove salt before the water is fed back to the Reactor Pressure Vessels in Reactors 1, 2 and 3. I believe the RO system was also built by Toshiba, and it started operation in August in 2011. Looking at the photographs of the leak that TEPCO released on August 17, now we know it doesn't matter whether the pipes are Kanaflex or metal. They fail no matter what, at Fukushima I Nuke Plant. 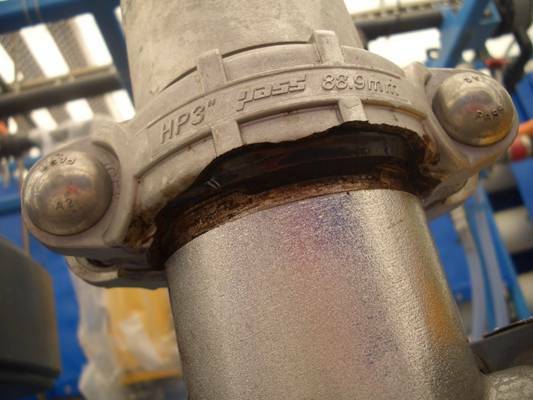 In this case, one of the metal pipe joints cracked and fell off, and the water leaked from there. Gamma radiation was low in the leaked water but since SARRY (or for that matter, Kurion or AREVA, both of which have not been used) does not remove any beta nuclides (including strontium), beta radiation was rather high at 3 millisieverts/hour on the water. How bad is the leak? About 0.2 tonnes, or 200 liters. "Butterfly Mutations Caused by #Fukushima #Radiation" a Redux of the Sokal Affair? Butterflies mutated because of radiation from Fukushima accident! This one was doing very well for a few days, being picked up not just by the mainstream media in Japan but also by the august foreign media including BBC, CNN, and Le Monde. Why? Because it was not a lowly blogger or a Russian news who started the "news" but it was the Japanese researchers from University of the Ryukyus in Okinawa, by having their paper published in a open-access, peer-reviewed magazine of Nature (the magazine was launched in June 2011). These particular butterflies' original, natural habitat is southern, warmer locales such as Okinawa, and Kyushu, Shikoku. Why did these researchers pick this particular species prone to mutations if they really wanted to isolate the effect of radiation? Here's one good "togetter" (string of tweets) in Japanese by people clearly with solid scientific background analyzing this paper. Professor Joji Otaki himself has written a paper on the topic of mutation of this particular species, and has attributed the mutation to colder temperatures. But now, scanning through the paper, I see that he and his fellow researchers attribute physiological and genetic mutations of this butterfly species to exposure to artificial radiation from Fukushima I Nuclear Power Plant, without proving that it is indeed the radiation from Fukushima that have caused genetic mutation. The researchers just say so in the paper, as if that's what everybody knows. As controls, they used the butterflies in the southern, warmer natural habitat where the butterflies are more genetically stable, and compare them with the butterflies they caught in the northern regions, mostly in Fukushima Prefecture and Ibaraki Prefecture, where wide variations and mutations had already been observed prior to the nuclear accident. Does that make sense? Particularly when Professor Otaki had already amassed the data of this species in northern regions as far north as Aomori Prefecture? Why didn't they compare the butterflies caught in Fukushima with the butterflies in Aomori, which hardly had radiation contamination from the Fukushima accident? They talk as if it is a given that radiation from Fukushima I Nuclear Power Plant caused the mutations. But did they actually measure radiation in the butterflies? They seem to have tested the leaves that the butterflies eat, but not the butterflies themselves. In addition, what made me pause was this graph from the paper, showing the percentage of butterflies with abnormality. Look at Motomiya City in Fukushima with 100% abnormality, from one sample. Or 50% abnormality in Iwaki City, from 2 samples. Hmmm. What's all this? Is it maybe a kind of joke, or experiment? You know, much like the US Department of Homeland Security deliberately bringing in weapons to airport checkpoints to test the competency of the personnel and ability of the equipment to detect the weapons? DHS weapons often get through the security with flying colors. Maybe this is a redux of the Sokal Affair in 1996. The Sokal affair, also known as the Sokal hoax, was a publishing hoax perpetrated by Alan Sokal, a physics professor at New York University. In 1996, Sokal submitted an article to Social Text, an academic journal of postmodern cultural studies. The submission was an experiment to test the journal's intellectual rigor and, specifically, to investigate whether such a journal would "publish an article liberally salted with nonsense if it (a) sounded good and (b) flattered the editors' ideological preconceptions." It would reveal that the media doesn't understand what it is reporting. It would reveal the soundness (or lack thereof) of the scientific mindset in the Internet society. It would reveal the problem the scientific world faces - a paper gets published without being properly evaluated, and once published it is considered "the truth". If it is the case, hats off to the researchers. But so far I haven't seen the announcement or press conference by them saying it is indeed the case. This "news" has all but disappeared, and people who worry about radiation are left stranded, wondering. Many of them seem to believe the lack of news means it is true, it is the inconvenient fact that the government and TEPCO have decided to hide from them. The government and the government experts have only themselves to blame, of course, for the lack of respect they get from citizens. What worries me though is the lack of scientific judgment on the part of citizens. An article that appeared in Forbes in January this year introduces to us a town in New Mexico, Carlsbad, which has prospered by accepting plutonium-laden atomic waste from nuclear weapons production. The town wants more. According to the article, Carlsbad's unique geological feature - the town sits atop the largest salt deposit in America (from 250 million years ago, 3,000-foot thick) - is much more superior to the Yucca Mountain with volcanic tuff, when it comes to storing highly radioactive nuclear waste and keep it there for eternity. The town has benefited tremendously from accepting the nuclear waste. Business is thriving, unemployment rate is less than half the national average, thanks to the Waste Isolation Pilot Plant (WIPP), the nation's only permanent, deep geological repository for nuclear waste. There’s a secure solution to America’s nuclear waste problem: bury it under Carlsbad, New Mexico. The locals are ready — if only Washington would get out of the way. Bob Forrest is known for a lot of things in Carlsbad, a quiet city of 25,000 on the edge of New Mexico’s empty, endless Chihuahuan Desert. He was mayor here for 16 years. He’s chairman of the local bank and owns the spanking new Fairfield Inn, which sits next to the new Chili’s and the new Wal-Mart. And he helped bring 200,000 tons of deadly nuclear waste to town. But if Carlsbad’s story showcases the upside of being willing to do the nation’s dirty work, it also demonstrates how difficult it can be to get the chance to do so. Since opening in 1999, WIPP has operated so smoothly and safely that Carlsbad is lobbying the feds to ­expand the project to take the nuclear mother lode: 160,000 more tons of the worst high-level nuclear waste in the country—things like the half-melted reactor core of Three Mile Island and old nuclear fuel rods—that are residing at aging nuke plants a short drive from wherever you’re sitting right now. Yet thanks to politics even more radio­active than the material itself, it hasn’t happened yet and might not happen anytime soon. Though taxpayers have already spent some $12 billion mining out and engineering Yucca Mountain, 90 miles from Las Vegas, power brokers in Nevada fought the congressionally approved project from the get-go. Bowing to Nimby—and Nevada’s powerful Senator Harry Reid—two years ago President Barack Obama’s Administration declared Yucca DOA. Contractors have since laid off some 1,000 workers there. To seek some common ground Obama then set up the Blue Ribbon Commission on America’s Nuclear Future. The BRC, as it’s known, is tasked with looking at all the options. It likes WIPP—a lot. According to its draft report last summer the BRC will insist that a “consent-based approach” be applied to any future site selection. WIPP, it wrote, is a model of how that can be done. Cue the politics. New Mexico, in agreeing to WIPP, required that Congress enshrine in law a promise that the feds would not send high-level waste into the state. WIPP won’t be the next Yucca unless that issue is wrangled, and reversed, by Albuquerque, Washington or anyone else with skin in the game. If they pay any attention, that is. “I’m absolutely incredulous that so few opinion makers even know that WIPP exists,” says former New Mexico Senator Pete Domenici, who sits on the BRC and is a friend of Forrest. Still, science appears to be on the boosters’ side. Carlsbad has a Goldilocks geology that is the best solution yet found for entombing nuclear waste safely. Yucca Mountain’s volcanic tuff is prone to cracks and faults from seismic activity, which might, over thousands of years, let water seep in. Salt, on the other hand, is nearly impervious to seismic activity, quickly healing any cracks or faults and remaining completely impermeable—with no way for any water to get in or for any radiation to escape. Carlsbad sits atop the biggest salt deposit in America, stretching from New Mexico clear to Kansas. It was deposited 250 million years ago in the Permian period, when the seas receded from the shore of the ancient continent Pangea. The salt has lain undisturbed ever since. In the 1970s the Department of ­Energy floated the idea of mining out a nuclear repository in the salt under centrally located Lyons, Kans. The people didn’t want it; Three Mile Island didn’t help. Carlsbad made more sense; its 3,000-foot salt layer is the thickest in the country. And the state has a nuclear history as home to the Manhattan Project. The Los Alamos and Sandia national labs continue to do a lot of nuclear work. What’s more, the people of Carlsbad know salt; they’ve been mining it since 1930 to go after seams of potash—a mineral in high demand as fertilizer. By the way, the new NRC chairwoman that President Obama appointed was a member of that Blue Ribbon Commission on America's Nuclear Future. As a geologist, she should see the great potential for Carlsbad's WIPP. Maybe the townspeople will soon get their wish. New NRC Chairman Allison McFarlane: "Dry Casks Are Good Enough"
Sorry for old news, as I haven't been up-to-date on the US side. But the new NRC chairman has been installed, and she is a geologist who opposes the Yucca Mountain Nuclear Waste Repository (which the Obama Administration defunded in 2010) but says it is OK to upgrade a nuclear power plant and continue operation when geological surveys point to some seismic danger, and dry cask storage is good enough. She also says building the public confidence in her agency is a matter of improved communication, and no, the agency is not cozy with the nuclear industry. Is the Nuclear Regulatory Commission too cozy with the industry it regulates? After five weeks on the job, the new chairwoman of the agency doesn't think so. Allison Macfarlane said Tuesday she has confidence in the agency and its independence from the nation's 104 commercial nuclear power plants. "I have some strong initial impressions of the agency, and one is that I've been very impressed with the staff and their dedication to safety, and their willingness to stand up to industry when they believe a situation is not safe," Macfarlane said in a wide-ranging discussion with reporters. "So I'm actually quite assured that the agency is completing its mission of protecting public health and safety," she said. "They take safety issues very seriously. They take their role as regulators very seriously and the public should be assure that they have the public's best interests in mind." Macfarlane said she hopes to build public confidence in the agency by improving communication, increasing transparency and making NRC documents understandable. "Some of them are rather opaque," she allowed. Macfarlane, the first geologist to head the agency, repeatedly stressed the importance of geology in the placement of nuclear power plants, and said one of her top goals is to look "at the intersection of geology and nuclear technology." "Geology clearly matters. If that wasn't one of the main lessons of Fukushima, I don't know what was," Macfarlane said of the 2011 Fukushima Daiichi nuclear power plant disaster in Japan. "There was a massive earthquake -- an earthquake that was not predicted." Pressed on whether geologic surveys could lead to the closing of some older nuclear power plants, Macfarlane said she believes plants could be upgraded if necessary. "The important thing is you need to understand what those risks are." Macfarlane also stressed the need for the Congress and the administration to find a geologic site for the long-term storage of nuclear waste. The Obama administration scrapped a plan to store waste at Yucca Mountain, Nevada, and a blue ribbon commission, on which Macfarlane served, said the government must look for a community willing to accept the waste. Finding a site for nuclear waste is possible, she said. "I just want to provide people assurance that this can happen in the United States, because it has," she said, noting the Department of Energy's waste site east of Carlsbad, New Mexico, used to store waste from the production of nuclear weapons. In the meantime, Macfarlane said, dry casks have proved effective for the temporary safe storage of nuclear waste. "They seem to be operating very well," she said, noting that they are passively cooled, avoiding the need for water that has proved problematic with the damaged storage pools at Fukushima. The NRC is looking at the issue of expediting the movement from storage waste pools to dry cask storage, she said. Expediting the movement? How? By telling the spent fuel assemblies to cool down faster? Fukushima I Nuke Plant's Spent Fuel Pools are actively cooling the spent fuel assemblies for good reasons, problematic or not. (Reuters) - Saudi Arabia has ordered its citizens to leave Lebanon "immediately", the state news agency reported in an SMS alert on Wednesday. "The Saudi Arabian embassy in Lebanon calls all Saudi citizens to leave Lebanon immediately," the alert said, without elaborating. Unit 2 of Millstone Power Station in Connecticut was shut down because the seawater used as coolant was not cool enough. HARTFORD, Conn. — Connecticut’s nuclear power plant shut one of two units on Sunday because seawater used to cool down the plant is too warm. Unit 2 of Millstone Power Station has occasionally shut for maintenance or other issues, but in its 37-year history it has never gone down due to excessively warm water, spokesman Ken Holt said on Monday. Water from Long Island Sound is used to cool key components of the plant and is discharged back into the sound. The water cannot be warmer than 75 degrees and following the hottest July on record has been averaging 1.7 degrees above the limit, the Nuclear Regulatory Commission said. The federal agency issued an “emergency license amendment” last week, allowing Millstone, a subsidiary of Dominion Resources Inc., to use an average temperature of several readings. “It wasn’t enough to prevent us from shutting down,” Holt said. In addition to the extreme heat last month, the mild winter didn’t help because it kept Long Island Sound water unusually mild, Holt said. Robert Wilson, a professor at Stony Brook University’s School of Marine and Atmospheric Sciences, said readings show temperatures in central Long Island Sound are nearly 80 degrees, much higher than the more typical 74 degrees. He blamed weather patterns, beginning with the mild winter and little wind that allows heat to hang around. “If you start from warm winters, then have sustained persistent surface heating without wind stirring you get very high temperatures,” Wilson said. Millstone provides half of all power used in Connecticut and 12 percent in New England. Its two units produce 2,100 megawatts of electricity, which is reduced by 40 percent with Unit 2 down, Holt said. Richmond, Va.-based Dominion, which operates Millstone, does not have an estimate of when the unit will restart, he said. Marcia Blomberg, a spokeswoman for regional grid operator ISO-New England, said the loss of electricity will not be a major problem. The Holyoke, Mass.-based agency generally operates with a margin of reserve and plans for the possibility of lost resources, she said. Dave Lochbaum, director of the Union of Concerned Scientists’ nuclear safety project, said he believes the partial Millstone shutdown is the first involving a nuclear plant pulling water from an open body of water. A few nuclear plants that draw water from inland sources have powered down due to excessively warm water, he said. Browns Ferry nuclear plant in Alabama, for example, reduced power for 50 days in the summer of 2010 and fewer than 10 days last year, said Ray Golden, spokesman for the Tennessee Valley Authority, which operates the plant. No power reductions were needed this year because the plant cools the water, he said. Lochbaum said the Union of Concerned Scientists believes climate change is the reason why rivers, lakes and Long Island Sound are hotter. “It is evidence of global warming with problems both obvious and subtle,” he said. “It happens every summer,” she said. Still, Exelon asked for federal approval — the first time in 12 years — to continue operating when water in its cooling pond at an Illinois nuclear plant topped 100 degrees last month. Here we go. Global warming. It's been about 14 months since the hastily rigged system of transporting and treating the contaminated water and circulating the treated water back into the Reactor Pressure Vessels (1, 2 and 3) to cool the melted fuel somehow. The pipes used were Kanaflex pipes, which TEPCO just started to replace with rigid pipes. But the company didn't replace the Kanaflex pipe that goes from the Reactor 3 turbine building basement through the Reactor 4 turbine building first floor in front of the room with electrical power panels on the way to the building that stores the highly contaminated water before the water gets treated by SARRY. That's what leaked, and the water got inside the electrical power panel room. The water, coming out of the basement of Reactor 3's turbine building, has 85,000 becquerels/cubic centimeter of radioactive cesium, as of August 9, 2012 at 3:20PM, according to the company's handout for the press on August 13, 2012. One order of magnitude more cesium than in the water in the Reactor 4 turbine building basement. There is no information of air radiation levels inside the electrical power panel room. How are they going to clean this up, I have no idea. It is not like the past leaks where at least "treated" water leaked. If they cannot clean up the room, and if anything happens to the power panel, they may have some serious problem. At 11:15AM on August 14, a TEPCO employee patrolling the site found a puddle of water on the floor of the electrical power panel room on the 1st floor of Reactor 4 turbine building at FUkushima I Nuclear Power Plant. The pipe that transfers the highly contaminated water from the basement of Reactor 3 turbine building runs along the corridor in front ot the room. TEPCO suspects the leak may be from the pipe, and is investigating. The electric power panel is in the room to provide power to various equipment, but there was no effect on the panel from the leak. According to TEPCO, the water was seeping in to the room from the corridor. When the company stopped the transfer of the contaminated water at 12:20PM, the seepage stopped at about 1PM. The room is about 350 square meters, and the water is about 1 centimeter deep. TEPCO says there is no leak from the room. The density of radioactive cesium in the water is estimated to be several tens of thousands of becquerels per cubic centimeter. 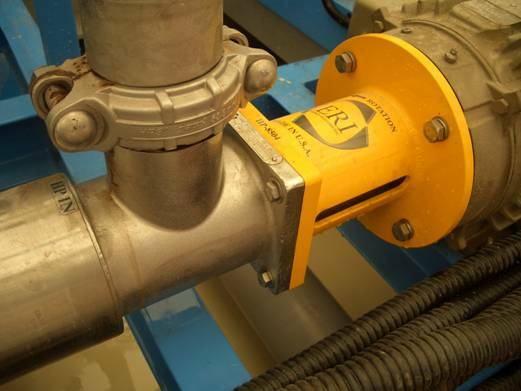 As the damage to the pipes used to transfer the contaminated water [Kanaflex] has been occurring frequently, TEPCO is replacing these pipes with polyethylene pipes which are more reliable. However, the pipe in front of the electrical power panel room hasn't been replaced yet. The company is trying to identify the location of the damage, and figure out how the water got inside the room. It is "obon" in Japan, and TEPCO (Headquarters at least) is taking August 14 and 15 off. No press conference is scheduled, as far as I checked, until August 16. Doel Nuclear Power Station has 4 reactors, all pressurized-water reactors. The company that made the vessels had gone out of business. A crack discovered in a steel tank containing a nuclear reactor at a Belgian power plant will likely keep the station closed, the country’s nuclear safety agency said on Friday. Repairing the crack is "practically impossible," the agency said. "I'm fairly sceptical for the moment," Willy de Roovere told RTBF public radio, even if "the possibility remains that I am wrong." According to French-language daily Le Soir, a crack of between 15 and 20 millimetres (0.6 and 0.8 inches) was discovered during a test in June. There has been no denial of this report. According to the agency, repairs are "practically impossible" and are "not an option" for fear of creating new tensions "which we must avoid at all costs." Installing a replacement meanwhile has never been attempted anywhere because of the problem of high radiation levels. The AFCN revealed on Wednesday that the Doel 3 reactor, located 25 kilometres (20 miles) north of Antwerp, would remain closed at least until August 31 after the discovery of possible cracks in the protective vessel surrounding the core during routine June testing. The agency is also mulling the permanent closure "in the worst case" of a second reactor in the country's south near Liege. The tests showed "faults in the steel base material" on which the reactor vessel is mounted, the AFCN said. The Dutch firm, Rotterdam Drydocks, that made the vessels is out of business, which has amplified concerns about others it delivered in Europe and in the Americas. Spain has indicated it has two reactors in the same bracket, Switzerland and Sweden one each. The firm supplied one to the Netherlands, but had not manufactured it. The government in The Hague said it has still to decide whether to test its nuclear facilities. The German government said reactors supplied by the defunct company were no longer in service. Representatives of nuclear safety bodies from all the countries involved will meet in Brussels on August 16 to "exchange information," the AFCN said. It is just a headline at Kyodo News for now. This is unprecedented in Japan. I've never seen such a high number of public comments on any issue. People are taking the system of public comments on government policies literally and seriously and flooded the government with more than 80,000 comments (letters, faxes, email messages, online forms) stating what they think of the three choices offered by the Noda administration on the future reliance on nuclear energy in 2030. The deadline to submit the comments were midnight on Sunday August 12, and as of August 11 the number was still 50,000. The public comment system is meant to serve as a "token" democracy at best by soliciting comments from citizens on government policies. The three choices of nuclear reliance were 30% (same as pre-Fukushima reliance on nuclear energy), 15%, or 0% of electricity to be generated by the nuclear power plants by 2030. It is pretty clear where the administration wanted to steer the opinions - 15%. Big mistake. Opinion polls indicate 0% is the most popular choice. All those token (or sham) town hall meetings in select cities throughout Japan by the government (Goshi Hosono, as the minister in charge of nuclear accident, I think) but actually planned and carried out by one of the largest PR agencies in Japan (Hakuhodo) for the sum of 50,000,000 yen (US$640,000) did nothing to appease net citizens. The government bureaucrats and experts with close ties to the government have said in the past that while the government may not pay any attention to the protests on the streets, it does care about the public comments which by law they cannot easily ignore. We'll see what the tenor of the comments are, soon enough.